EghtesadOnline: Aluminum production by Iran’s major producers reached 151,691 tons during the five-month period (March 21-Aug. 22), registering a growth of 10% compared with the same period of 2017, the Iranian Mines & Mining Industries Development & Renovation Organization announced in an official statement. IMIDRO's data registered an aluminum output of 137,473 tons during the five-month period of 2017. Last month, Deputy Minister of Industries, Mining and Trade Mehdi Karbasian announced that a large aluminum production plant, with a capacity of 300,000 tons per year, will come on stream in southern Iran by the end of the current Iranian year (March 20, 2019). The plant will be the largest and most modern aluminum production plant in Iran, Financial Tribune reported. Karbasian added that construction is currently underway at South Aluminum Corp, Alcircle reported. Iran Aluminum Company (Iralco), Hormozal and Al-Mahdi are the three major aluminum production companies in Iran. Iralco is a major aluminum producer in Iran. The company has an annual production capacity of 180,000 tons consisting of different pure ingots. With domestic consumption of the metal in Iran standing at about 340,000 tons per year, the company is now gearing up to add around 350,000 tons of new production capacity. 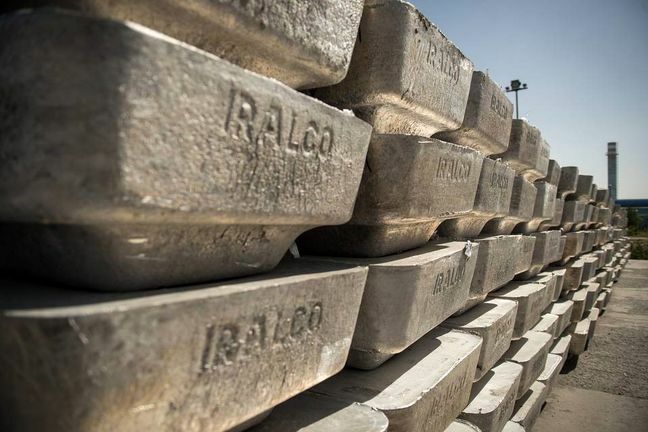 The company said that with IRALCO’s total production capacity reaching closer to 800,000 tons, Iran would become a net exporter of aluminum by 2019. In the comparable period of 2017, Iran Alumina Company based in Jajarm, North Khorasan Province, produced 363,300 tons of bauxite in the same period. The company produced 102,268 and 102,268 tons of alumina powder and aluminum hydrates in the same period respectively. Iran Alumina Company's bauxite, aluminum hydrate and lime production also registered a significant growth compared with the same period of last year.